Ah! These Carnelian and Dumortierite Stamina and Focus Stackers are the gemstone form of a double shot of espresso in your favorite cup of coffee! These two powerhouse crystals come together increasing creativity, improving focus, and strengthening determination. 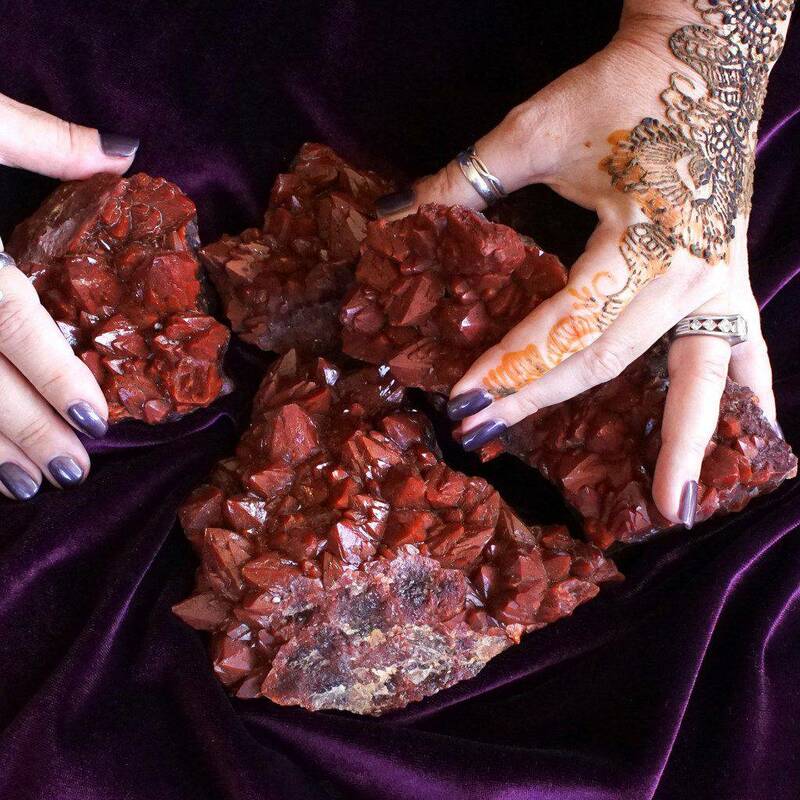 Carnelian offers a boost of energy that will help you to see any projects through to execution. Dumortierite expands your vision helping you to see beyond any immediate hardships in your path. Together, they’re like the Avengers — totally Unstoppable! 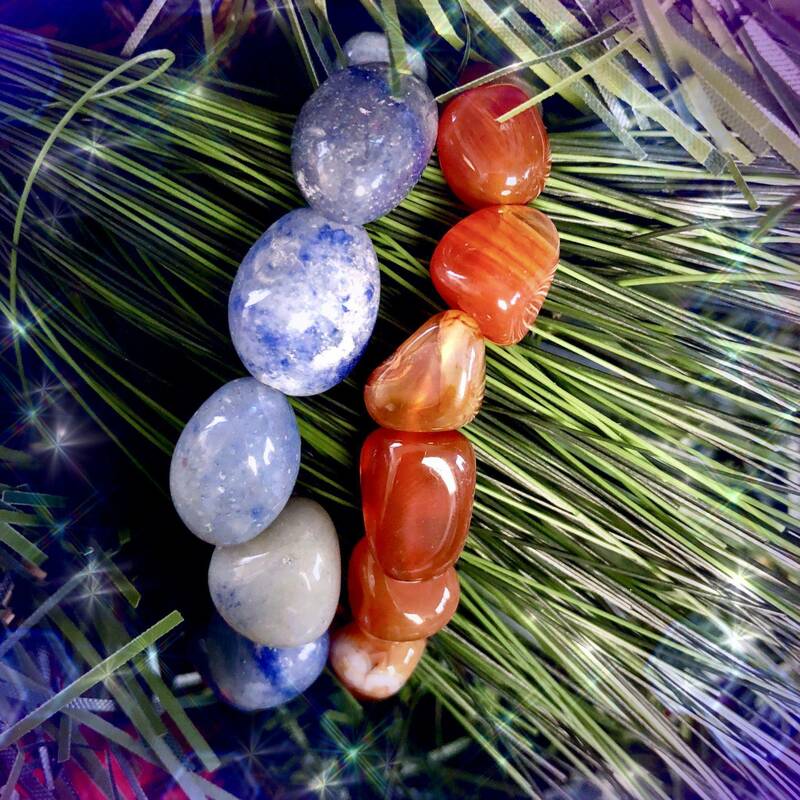 Wear your Carnelian and Dumortierite Stamina and Focus Stackers to forge ahead with clarity, creativity, and the conviction that you can — and will — get it done! When we wear jewelry, we invoke the elements and metaphysical energies of the stones we choose to adorn ourselves with. 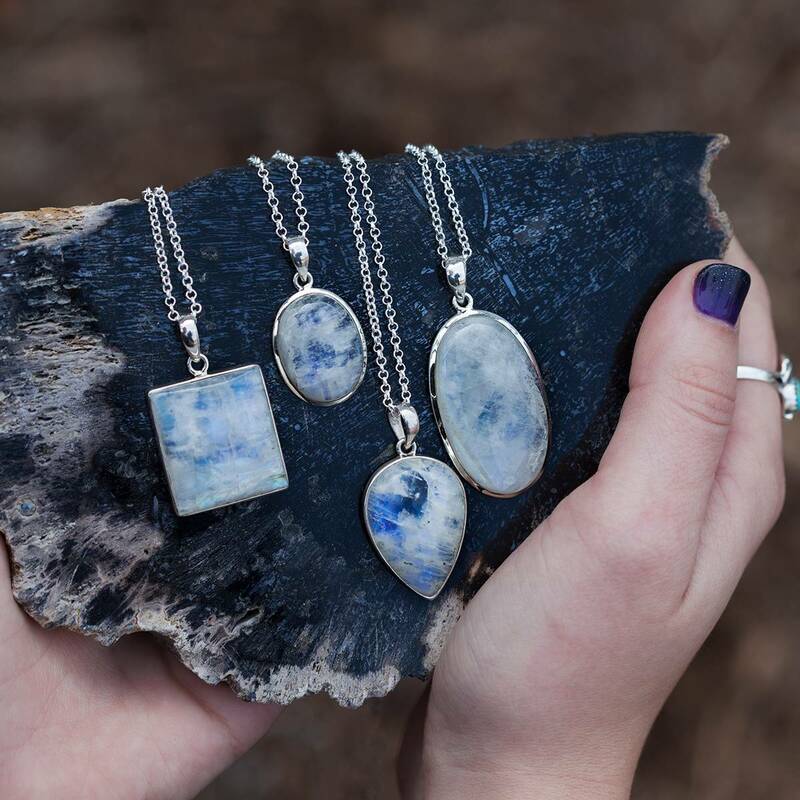 I adore and recommend wearing gemstones as sacred adornment because the healing magic of your crystals comes in direct contact with your skin, which I find is one of the best ways to receive the full benefits of your stones. There are two stones featured in these stackers: carnelian and dumortierite. Carnelian offers a sacred boost of energy that pushes you to get things done, create what needs to become, and move forward along your path. These fiery gemstone bracelets are full of life and vibrancy. If you and your partner are working on Sacral Chakra issues of creation, procreation, or sexuality in any way, this is your stone. Dumortierite is a stone that engages and opens the Third Eye Chakra and brings enhanced insight. 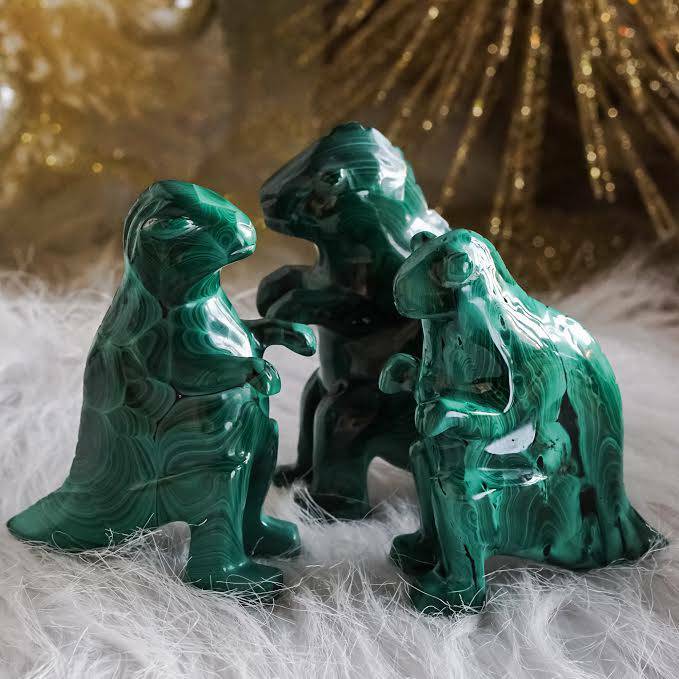 This stone deepens your connections to your spiritual guides, and helps you to see clearly to acknowledge and accept the reality surrounding you. This greater vision offers a supportive boost, aiding you as you seek solutions and overcome hardships. Dumortierite shows both sides of any issue. Called the Stone of Patience, dumortierite brings order to chaos. It reprograms the mind in a sense, as it releases negative thoughts and relieves what holds you back from your true self. 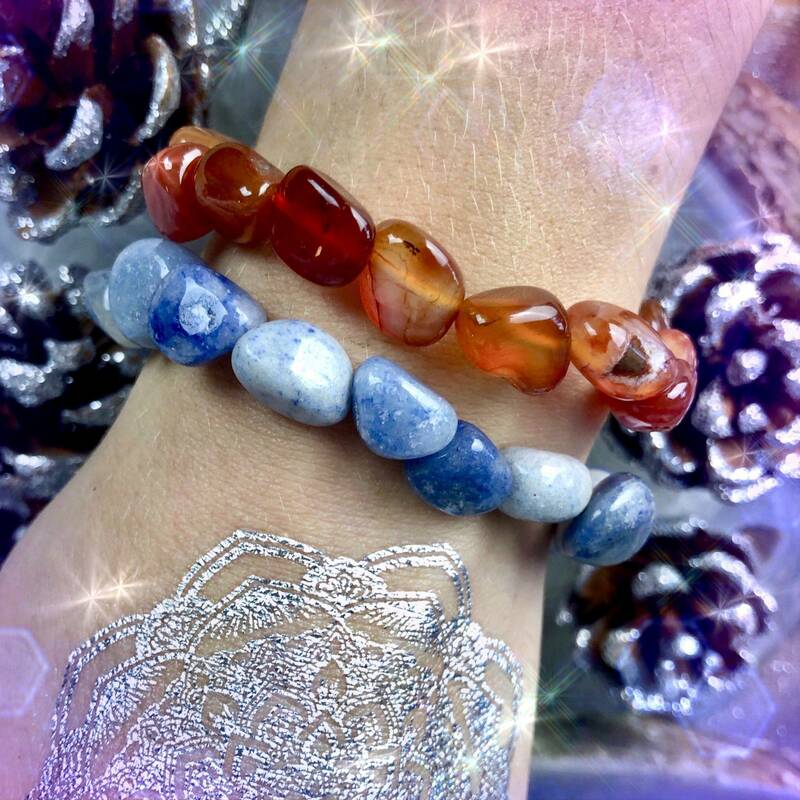 Wear your Carnelian and Dumortierite Stamina and Focus Stackers to tap into greater creativity, focus, and to strengthen your endurance to make magic happen in your life. 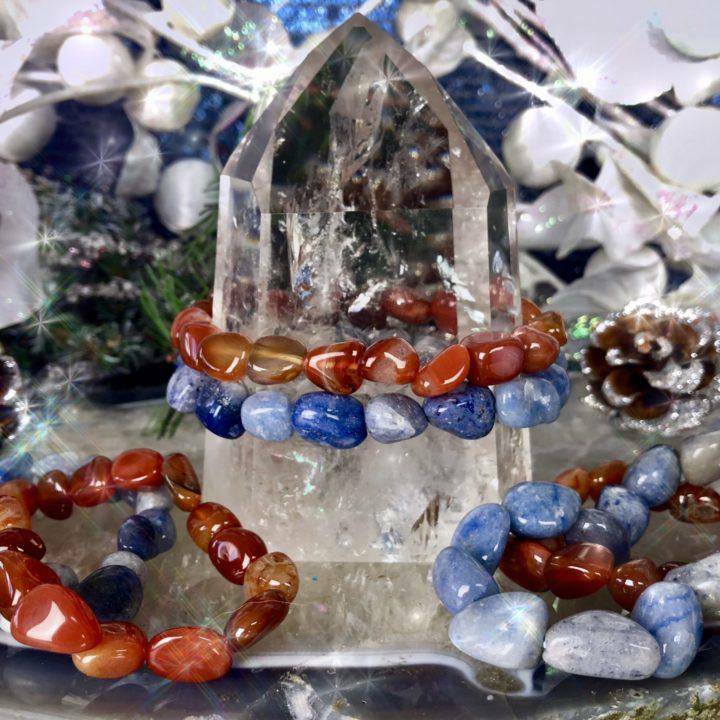 This listing is for one (1) Carnelian and Dumortierite Stamina and Focus Stackers. Yours will arrive lovingly parceled along with a single leaf of white sage and cards describing the properties of the stones.